Flu (influenza) has traditionally been the underdog of vaccine-preventable diseases. People tend not to worry about the flu too much, and there are various myths about its prevention and the vaccine. It’s true most people experience flu as a mild disease, but many don’t recognise it can be more severe. Each year flu is estimated to kill at least 3,000 Australians aged over 50 years alone. It took more children’s lives than any other vaccine preventable disease in Australia between 2005-2014, and is the most common vaccine preventable disease that sends Australian children to hospital. This year’s flu season has been a bad one. And it’s not over yet. Australian studies have shown the flu vaccine can usually reduce the risk of flu in those who are vaccinated by 40-50%, and by 50-60% for children. Early indications are showing the effectiveness of this year’s flu vaccine may be lower. Experts are calling for a better vaccine, which is needed. But even a more effective vaccine won’t address all the barriers to uptake. • people aged six months and over with medical conditions such as severe asthma, lung or heart disease, low immunity or diabetes (58% of these adults are vaccinated, and 27% of these children). Researchers have looked at why many people in these groups don’t have their yearly flu vaccine. A common theme emerges - health professionals are not recommending it enough, people aren’t aware they need it, they’re not sufficiently motivated, or they don’t have easy access. These themes come out in studies with parents of young children, pregnantwomen, Aboriginal and Torres Strait Islander children, adults with other disease, and people over 65. Our research is now looking at the children who end up in hospital with severe flu. We’re trying to better understand the barriers to flu vaccination, along with vaccine efficacy issues. We’ve heard that not only are health care workers not recommending it enough, some doctors are even recommending against it, as they don’t believe the child is at risk. 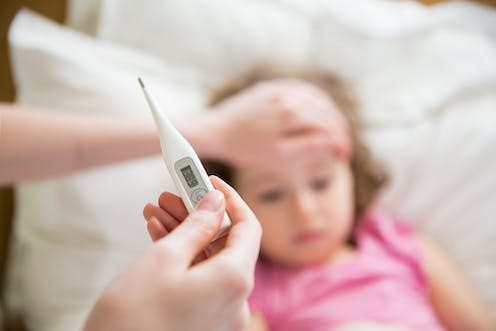 This is even though over half of children hospitalised from the flu are those without medical risk factors. Other times it’s simple awareness - parents didn’t know their child can receive a flu vaccine if they’re over the age of six months. Busy lives can mean making time to go to the clinic for a vaccine falls down the list of priorities. A four-year-old in our study was hospitalised only three days before a visit to the clinic had been booked. Some of the children in our study were not theoretically at high risk of flu and so not in the group where the vaccine is free. This was a major barrier, as it has been in other studies in children and adults. Parents report to us that their child is up-to-date with their scheduled vaccines, but annual flu vaccination is not being ticked off as it’s not on the schedule. The challenge with flu vaccine is it’s given yearly. In the UK it’s recommended and funded for all children of primary school age using a school-based delivery program and currently between 53-58% of children have it. When this many children are vaccinated there can be indirect protection of others who are not vaccinated because the virus is not able to spread from person to person as easily. 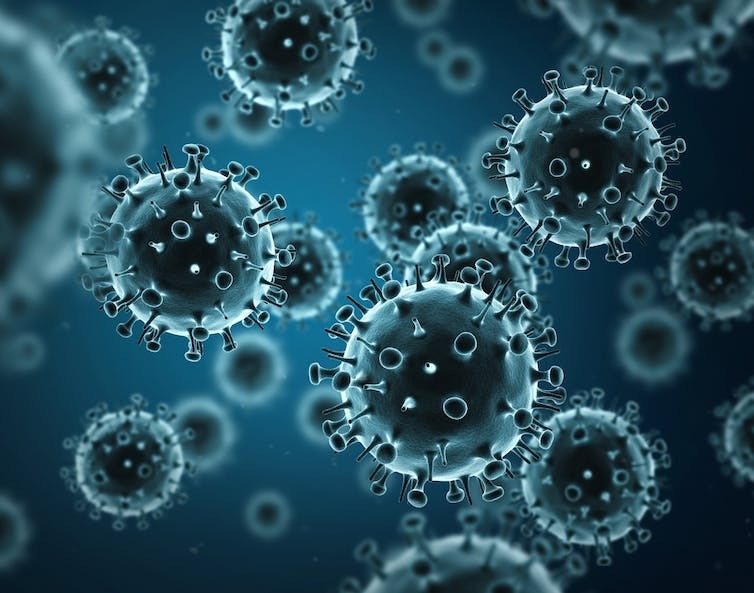 Read more: I’ve always wondered: why is the flu virus so much worse than the common cold virus? Misconceptions about flu vaccine are also a barrier: that it causes flu, that it’s not effective, that it’s not needed. People might say they never get the flu, not realising symptoms can be mild or not noticed and they can pass it on to the vulnerable. Others reported their belief was that the flu was not a serious disease. Some believed contracting flu “naturally” was likely to provide greater immunity. Some parents also have concerns about the safety of the flu vaccine. 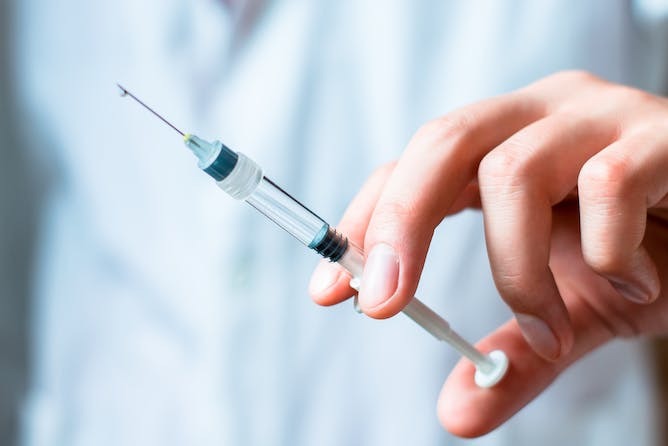 Australians were spooked by a 2010 incident when there was a temporary suspension of flu vaccine for children under five after reports of an increase in the rate of convulsions in children. The one vaccine found to be the cause (BioCSL/Sequiris Fluvax™) is no longer approved for use in children younger than five, but there are other seasonal flu vaccines children can have. But public and professional confidence is yet to fully recover, despite having reassuring safety data. Western Australia has had a free child vaccine program for years which was achieving relatively good coverage, but this dramatically declined after 2010, and coverage languishes at around 15% today. In other words, mud sticks. To improve uptake we first need timely and accurate coverage figures. We now have the capacity to get coverage estimates from the expanded Australian Immunisation Register but these are not yet available. The vaccine needs to be recommended more often, available more readily, free and recommended as part of the schedule, and myths addressed more effectively. We need to motivate and support health care workers to implement the recommendations, such as with automated reminders, incentives and performance indicators. Systems need to ensure people can get the vaccine easily - from the GP or other health clinic, the specialist clinic, the antenatal care clinic, or from an Aboriginal or Torres Strait Islander health worker. Promoting flu vaccine to everyone is important, as is providing ease of access, awareness and opportunity. Although the flu vaccine isn’t perfect, it’s far better than no protection at all. Julie Leask receives grant funding from the National Health and Medical Research Council, the National Centre for Immunisation Research and Surveillance, and receives occasional speaker fees from Primary Health Networks. She was previously an investigator on an ARC Linkage grant where Sanofi Pasteur provided cash and in-kind support for the study. Samantha Carlson is a recipient of the NSW Health PhD Scholarship Program. Samantha is employed by The National Centre for Immunisation Research & Surveillance (NCIRS), which is funded by Australian Department of Health and NSW Ministry of Health. NCIRS provides technical secretariat for the Australian Technical Advisory Group on Immunisation.